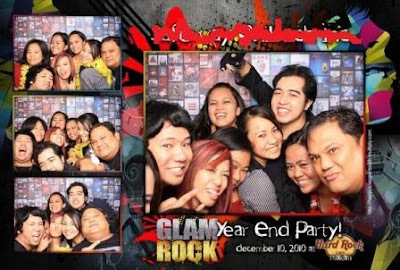 Home 2010 Company Christmas Party Christmas 2010 Glam Rock glamor Hard Rock Cafe photo contest photos pictorials picture taking rock and roll rock attire The Glam Rock Pictorials! 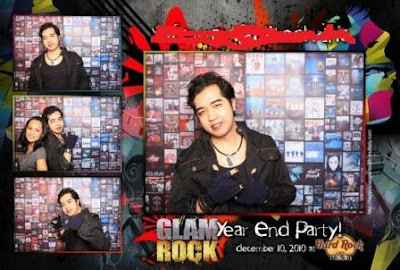 As I told you, I will share with you more and more photos and pictorials taken from our recently concluded Glam Rock Christmas and Yearend Party at the Hard Rock Cafe! Here you go! 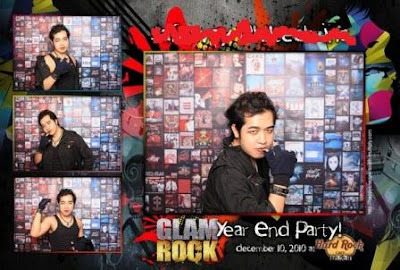 These were taken from the photo booth! We really love to pose for pictures! 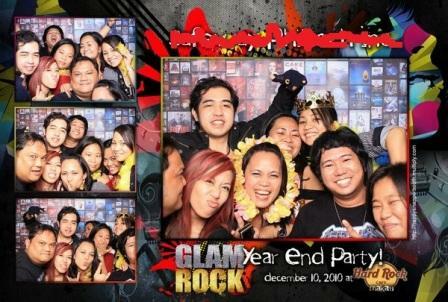 Picture..pictures...pictures...oh yeah pictures...! We really love it! In our team, I got the most number of shots! Yeah, definitely...I got the best costume! I truly deserve to get the Star of the Night award in this Christmas party! 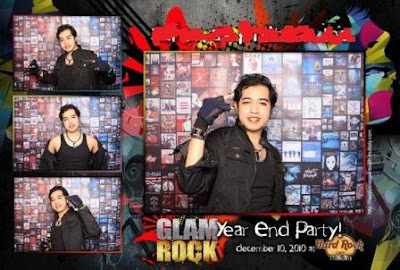 But since the contest or should I say, the 'fake' Star of the Night or 'fake' Best in Costume contest seems 'Lutong Macau', I just let myself enjoyed picture taking! 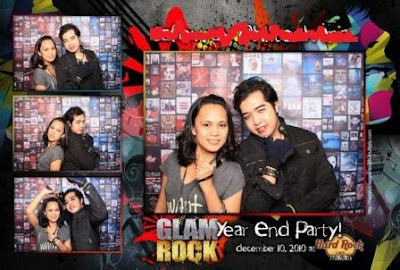 "Duon ko na lang binuhos ang bwisit ko sa gabing 'yon..."! Hayz...sayang ang Php3,000 at trophy...!" "Next time 'wag na sana silang mag-conduct ng Best In Costume kuno if di naman nila nakikita 'ung mga nag-effort at deserving talaga!" I was really pissed! But since its Christmas, let's forgive them! I'm still glad that I still got the best attire even though not recognized in the 'fake' contest! And I happy that everyone really appreciated my look during that night! They say, "you're really the winner"! And "marami talaga ang nanghinayang..."!